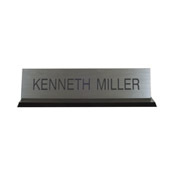 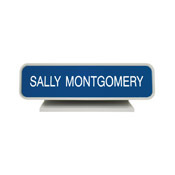 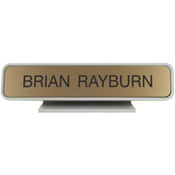 Aluminum Desk signs are manufactured from anodized aluminum for long-lasting durability. 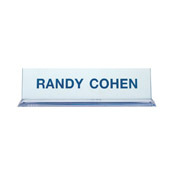 Message inserts are available in a choice of over 40 insert plastic colors. 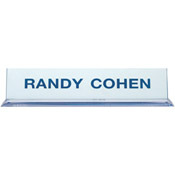 Frames are also available in a variety of styles and colors to completment your desk. 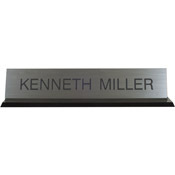 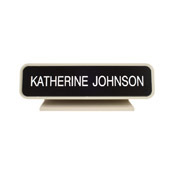 Our Xecutives desk signs are a high-quality available in a wide variety of styles and materials. 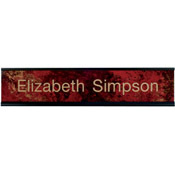 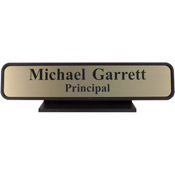 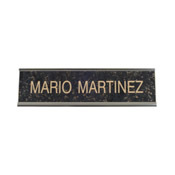 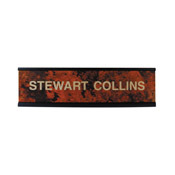 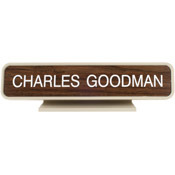 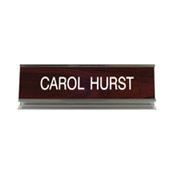 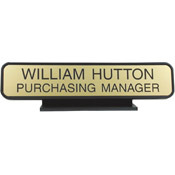 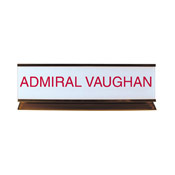 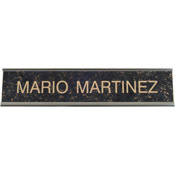 From Brass Plate nameplates to Wood Engraved plates we have the right sign for you. 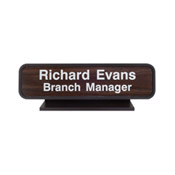 Recommended Uses: Offices, Courthouses, School or Warehouses.